With film celebrities like Amitabh Bachchan, Madhuri Dixit and Preity Zinta are trapped in the Maggi Noodles controversy for endorsing the product without verifying its content the question being asked is that should film stars be held responsible for misleading advertisements. While Amitabh Bachchan has sidelined himself from the controversy saying that he does not endorse Maggi anymore; he has enlighten the media how he has been cautious while selecting his endorsements. To revamp the company’s reputation the company hired Amiatbh Bachchan as its brand ambassador and launched a project 'Vishwas' - an education initiative covering 190,000 retailers in key states. However when the company approached Amitabh Bachchan to do the project Amiatbh Bachchan was hesitant. “The question stirred the company bosses and they took to me to their manufacturing unit to inspect myself how the product was made and how high standards of hygiene were maintained. 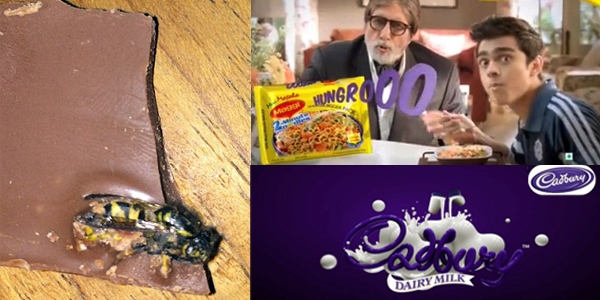 Watching their high tech unit I was convinced and did the advertisement,” informs Bachchan. But how many celebrities like Mr. Bachchan have a conscious check? Frankly speaking film stars themselves before endorsing a product must either verify the authenticity of the product, particularly health related, or ask their conscious because if the product has an ill effect on the population then they cannot repent themselves, for it is too late.